We’re back in the studio this week chatting about if the ABV of a beer impacts on your decision to buy it and drinking one of our beers of the year so far. Hopinions | Does the trend of high ABV modern beers influence your buying choices? 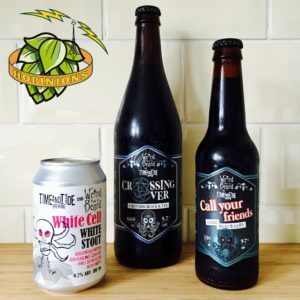 The track at the end of this week’s show is ‘Call Your Friends’ by Zebrahead and was the song that inspired Drew & Bryan to use the same name for one of these beers.